When I think of promoting my content writing services, I want to cower in a hole. An email I recently received from a reader confirmed that I am not alone in this. At issue are not the mechanics of promotion. As writers, we know we must have a bio, cover letter, and other tools. Rather, at issue is how to position yourself in those spaces. I’m tempted to hide in fear that either I’ll be prideful or exposed as a fraud … or on the other end of the spectrum, I am tempted to hype or exaggerate about my skills in order to get people to hire me (in other words, lie). The continuum is consistent in one respect: its focus is on Me, Myself, and I. And it’s sprinkled with words like fear, lies, and pride. No wonder that positioning gives pause. God looks at your content writing services a bit differently. He gave this gift for you to use – not to hide behind a false sense of modesty or fear. He gave you this gift to serve others – not your pride. 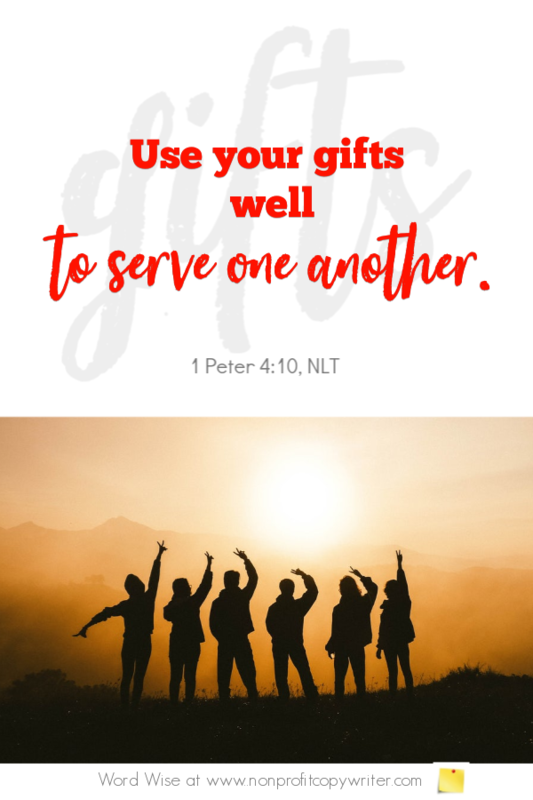 Since He has given you the gift of writing and tells you to use it to serve others, then you can be sure that He will offer you opportunities to do so. Don’t fall into the usual self-promotion trap of Me, Myself, and I. Tell others you write and you always do your absolute best. Ask how you can help them. How is that for positioning? Steward your writing skills. Use them to serve others. Thank you for the gift of writing. Keep me from viewing it selfishly, pridefully, or fearfully. Show me how to steward this gift to serve others, trusting you to provide opportunities to do so. The Referral: How Do I Get More Freelance Copywriting Jobs? The Specialty: Write What You Know. REALLY. The Volunteer: Should You Write for Free?